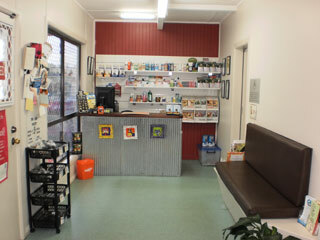 The Stella Street Veterinary Clinic is a companion animal practice that has been established for over 30 years. The clinic has been renovated and has the latest monitoring and diagnostic equipment. We have new ultrasound, x-ray and anesthetic machines. This will ensure the best treatment for your beloved companion. We are also a member of the Australian Veterinary Association (AVA). At Stella Street Veterinary Clinic we provide quality pet care from experienced veterinarians and nurses. We are all pet lovers & treat your pet like our own. We pride ourselves on always providing quality and compassionate care for your pets. We have a highly motivated and experienced team. Part of our team also consists of a professional groomer who has a specialty in nervous and timid dogs. Suburbs we service include Green Point, Kincumber, Terrigal, Avoca, Wamberal, Erina, Erina Heights, Forresters Beach, Bateau Bay, Long Jetty, The Entrance, North Entrance, Magenta, Toukley, Noraville, Norah Head, Killarney Vale, Berkeley Vale, Tumbi Umbi, Glenning Valley, Mingara, Chittaway Bay, Tuggerah, Wyong and Palmdale.